Why PUB HTML5 PDF to HTML5 eBook? The update to HTML5 has brought effective solution for modern web design, making web design more reasonable and inclusive without losing the original characteristics of HTML. Instead, the application of HTML5 to modern web design does not only improve the performance of web pages, but also help avoid the installation of RIA (plug-in-based rich internet application) such as Adobe Flash, Microsoft Silverlight and Oracle JavaFX. It takes just a few minutes to go from PDF to a much more engaging online eBook with flipping pages when you use PUB HTML5. And online eBooks made with PUB HTML5 are simultaneously created in both HTML5 and Flash, so you don’t have to spend your time worrying about whether your readers can view your book. The right version will automatically be shown – all you need is one link. 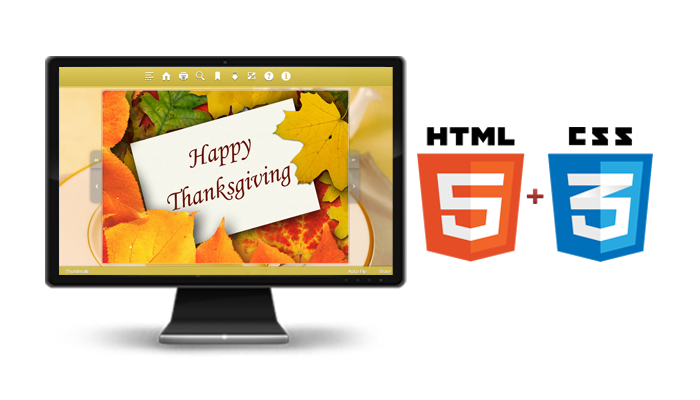 And not surprisingly, due to its obvious advantages, this HTML5 technology is supported by almost all browsers even though it is still at a developing stage. And its influence has gone beyond the desktop based platforms such as PC and Mac, bringing a revolution to the mobile world, which made it possible to read media-rich digital publications on mobile devices. And to better to match modern web design and cater to your needs to reach mobile readers, Pub HTML5 will help you create HTML5 and CSS3 eBooks from PDFs with great ease. With this user friendly PDF to HTML5 eBook, you don’t need to code. Instead, you just need to move your mouse and click to select what you prefer, and you can publish a beautiful HTML5 and CSS3 based eBook with pleasant page slide effect and even animated rich media elements. 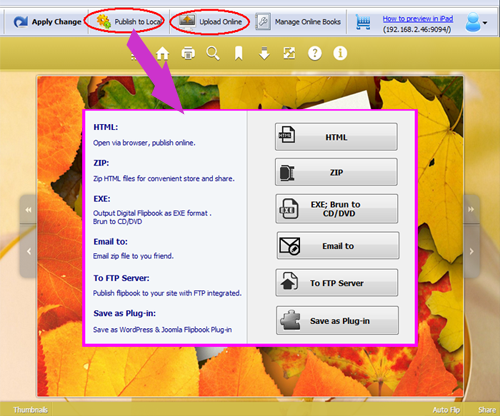 After you start Pub HTML5 and login with your account, click “Import File” to browse and select your PDF file and then define import settings such as page range to import, page quality & size and advanced settings. And click “Import” to import the PDF file. You can publish the HTML5 and CSS3 eBook to you local computer or upload it online to our Online Hosting.